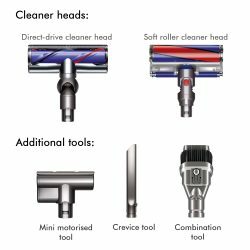 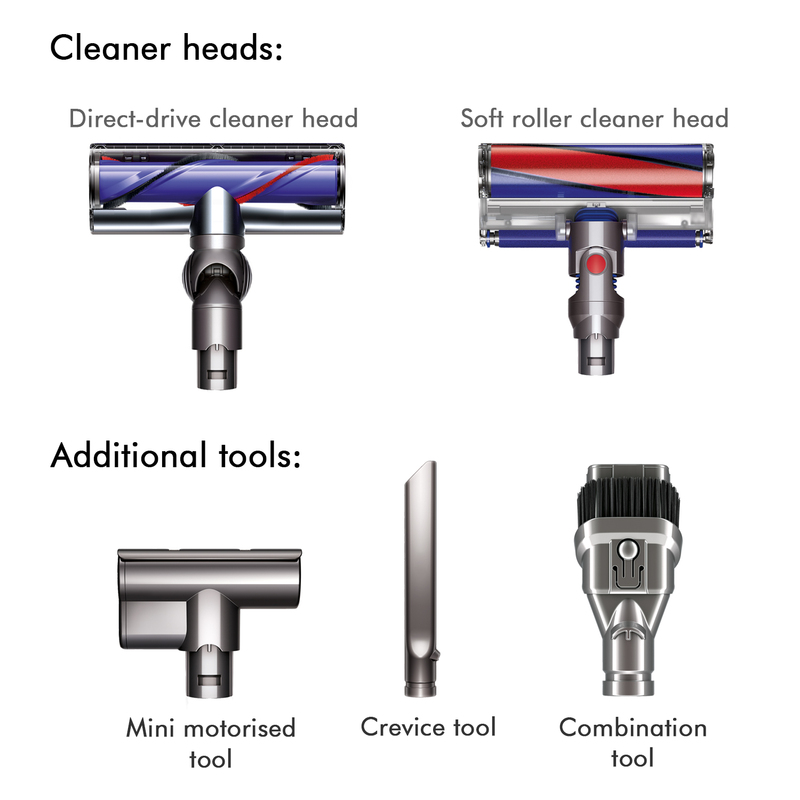 • Soft roller cleaner head. 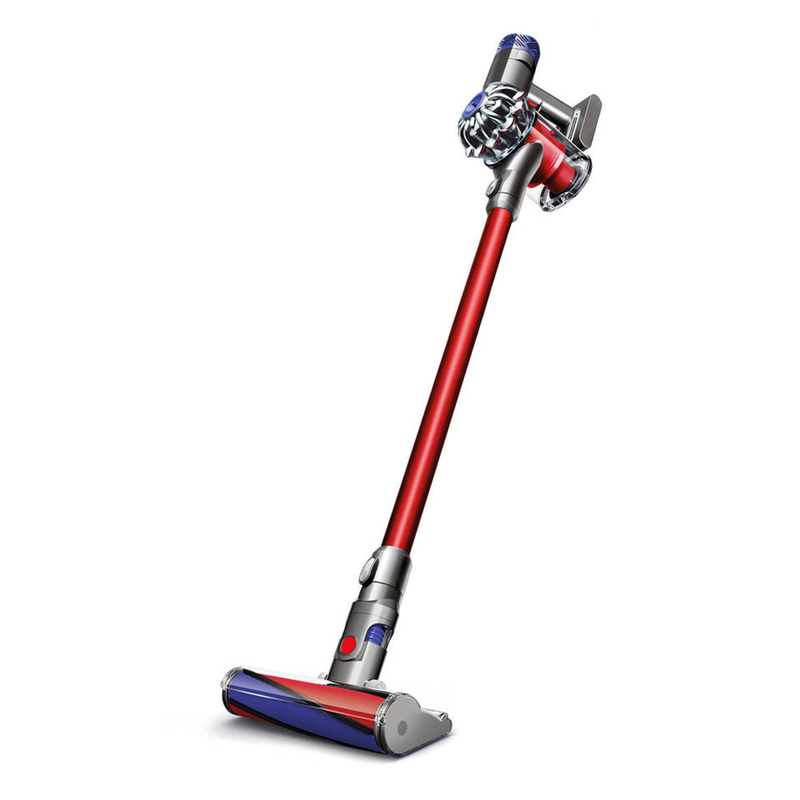 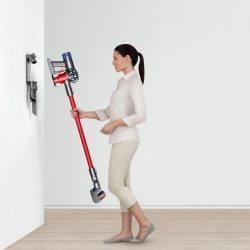 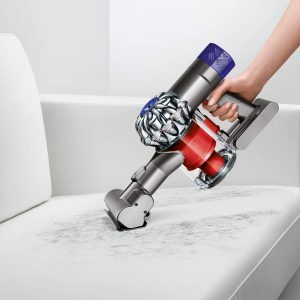 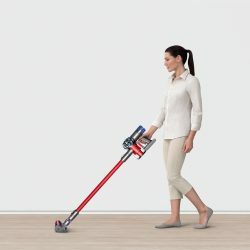 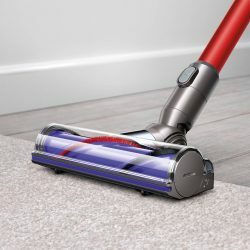 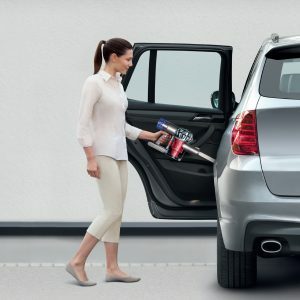 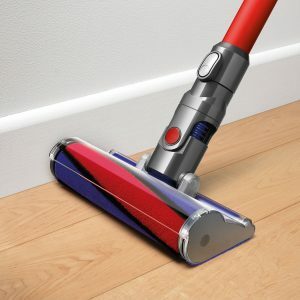 • Powered by the Dyson digital motor V6. • 2 Tier Radial™ cyclones. • Up to 25 minutes of powerful fade-free suction. 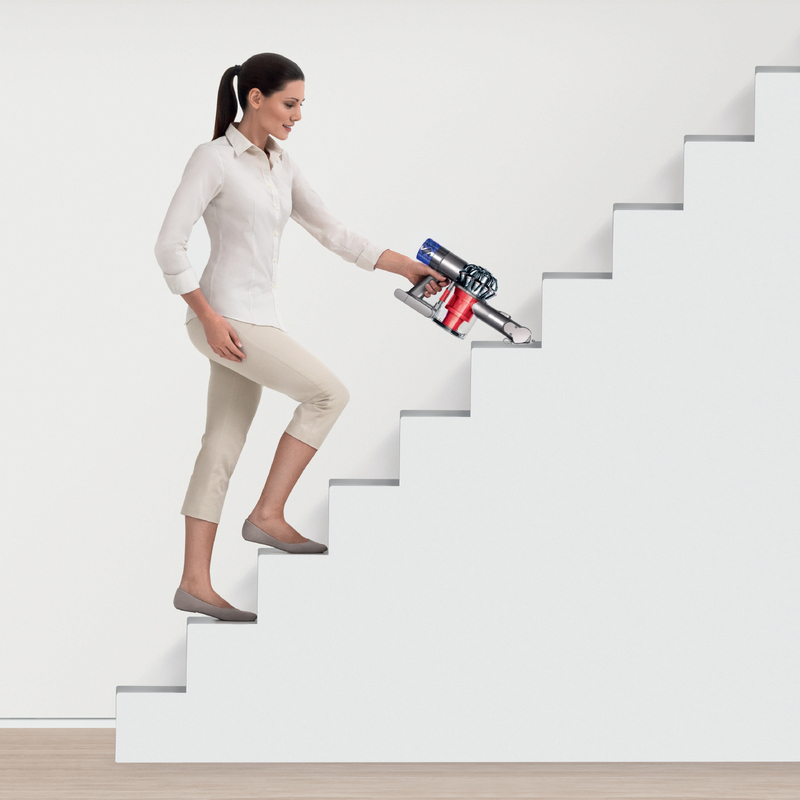 • Balanced for floor to ceiling cleaning. 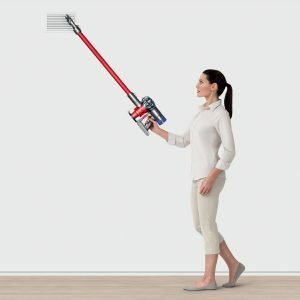 • Converts for handheld cleaning. • Filtration: washable lifetime filter.